POST | Sigur Ros "Varuo"
sigur rs consists of jn or (jnsi) birgisson (vocals, guitars), orri pll drason (drums) and georg (goggi) holm (bass). 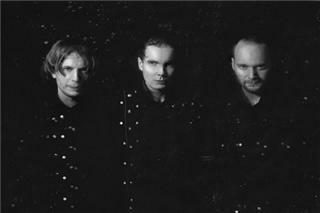 the band was joined by kjartan sveinsson on keyboards in 1998, recording five albums with the band. sigur rs was originally formed by jnsi, georg and original drummer gst in 1994. when gst left the band after the recording of gtis byrjun, he was replaced by orri. 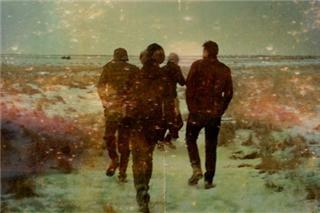 as of 2012 sigur ros have released six albums, plus one remix album (von brigi - recycle bin). the first album, recently given a worldwide release for the first time, is called von (hope). frequently unrecognisable from the bulk of their subsequent work, von is an experimental and ambient work. the band really found their feet with their second album, the masterpiece that is gtis byrjun (a good beginning). the album was originally released only in iceland, but was discovered by brighton's fatcat records, who snapped the band up and released the album in the uk in august 2000. the band attracted a huge critical acclaim throughout the world in the second half of 2000, particularly in america. this resulted in a frantic hunt by major us labels to secure the rights to their material in the states. large quantities of cash were offered, although in the end the band chose the deal which gave them most artistic freedom. this was with mca records. the band toured north america for the first time in april and may 2001, and the vast majority of the dates sold out straight away. perhaps due to the hype in the american media, the shows were attended by many big name celebrities, somewhat to the band's bemusement. 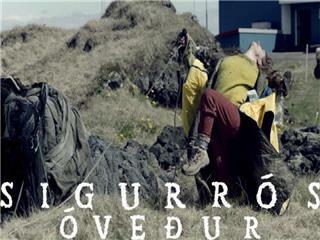 sigur rs released their third album in october 2002, entitled ( ). the lyricless and titleless album was a darker, rawer and less accessible follow up to gtis byrjun and came out to favourable reviews around the world. the album sold well and even reached #52 on the american billboard chart. the first track from the album was released as a single in may 2003 and reached the #9 spot in america's nielsen chart. at this point in their career, sigur rs had now sold over one million records worldwide. the band produced three videos from the first three albums; two for songs from gtis byrjun and one from ( ). the band's first video, svefn-g-englar, was released in june 2000. the video features members of the perlan theatre group, an icelandic group of downs syndrome actors who regularly perform in iceland. the second video, for virar vel til loftrsa, was released in september 2001. this remarkable video is set in the 1950's and follows the story of two young boys. the end of the video features a football match involving the boys, with a surprising and monumental climax. 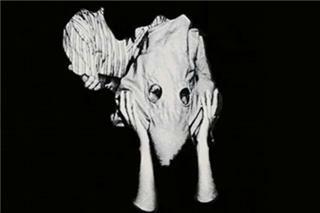 the band's third video, 'untitled 1' (aka vaka), was directed by the highly respected italian director and photographer floria sigismondi, and was released in february 2003. the video was a considerably dark affair, featuring playing children in a post-apocalyptic playground covered in black snow, where they must play under the protective guise of gasmasks. the video garnered mtv's attention and was awarded the best video of 2003 at the mtv europe music awards. 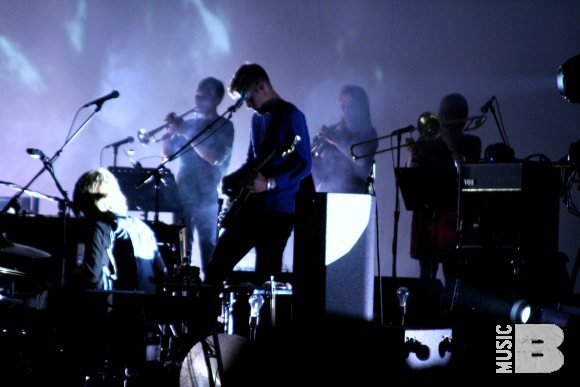 early in 2003, sigur rs embarked on an extensive european and american tour which included legendary performances at the hammersmith apollo in london and radio city music hall in new york city. they took a well-earned break that summer, after which they joined forces with radiohead to write music for the modern dance piece split sides by merce cunningham, one of the band's numerous side projects since the release of ( ). 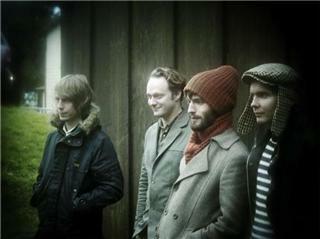 2004 was largely spent writing and recording the band's fourth album, 'takk' (thanks). finally released in september 2005, 'takk...' quickly became sigur rs' largest selling album to date and charted highly across the globe. it entered at number 16 in the uk charts and at 27 in the us. for more information about 'takk' please click here.